The Hydrodemolition technique offers numerous outstanding benefits compared with the traditional use of handheld water jet equipment, milling machines and jackhammers. 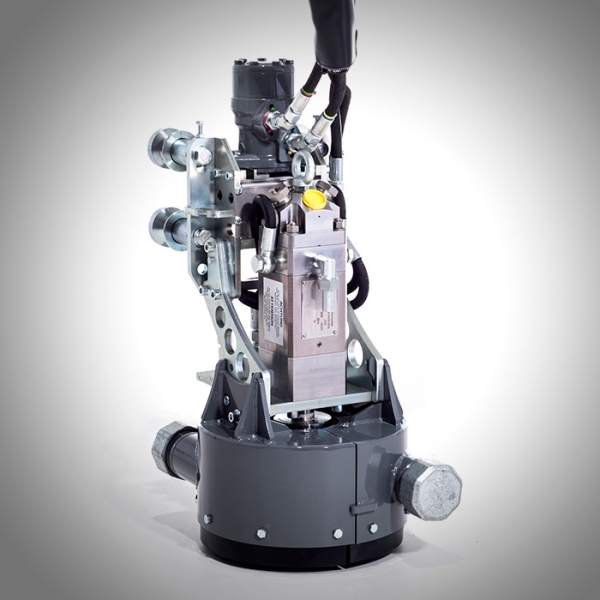 Our Hydrodemolition robots are faster, easier to use and more cost-effective than ever before. They provide the best possible performance and efficiently remove concrete in constant or variable thickness. You can operate our products on flat and curved surfaces in all varieties of applications – vertically, horizontally and over-head. Our robots are the most versatile on the market thanks to their extensive range of features, ensuring that top quality results are achieved safely at a high production rate with low operating and on-going costs. Rough, irregular surface to provide an excellent bond for repair material. Lower strength and deteriorated concrete is selectively removed. Vibrations to the surrounding structure is eliminated. Hands and arms (HaVs) vibration damages are avoided. Reinforcements are cleaned and undamaged. Significant reduction of transmitted sound through the structure. Increased speed of concrete removal reduces construction time. Minimized dust pollution and the potential risk of silicosis. 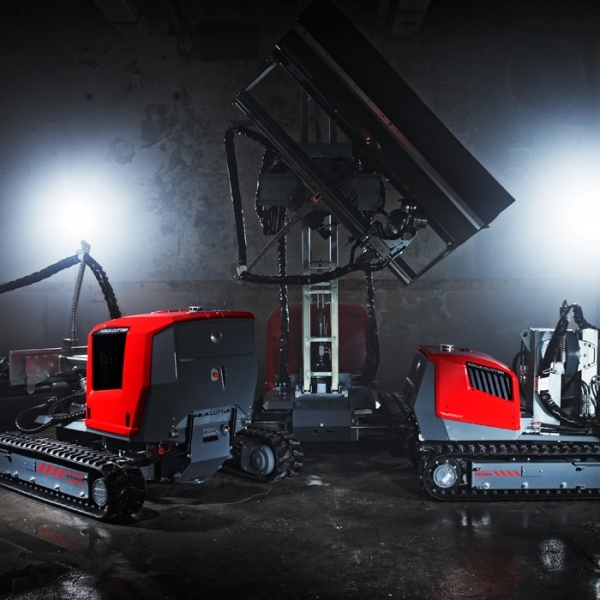 Robotic units reduce labour and minimize injuries compared to other methods, such as chipping hammers and hand held waterjet machines. No damage to rebars with the use of Hydrodemolition. Jackhammers leave rusted and damaged rebars. With Hydrodemolition reinforcements are cleaned, exposed and undamaged. Vibrations from mechanical tools are transmitted to the rebars and will jeopardize the bond in the concrete that needs to be left intact. Milling machines does not remove the concrete below and under the rebars. The AQUA CUTTER robots EDS system features an unbeatable “angle of attack” while keeping the nozzle at the correct set distance from the surface. The angle can be changed by as much as ±30º on classic robots and ±45º on the Evolution models to ensure full speed removal of the concrete between and under the rebars. Selective removal is one of the basic principles of Hydrodemolition. It means that you only remove the amount of concrete needed for the refurbishment. Basically you leave the “good concrete” and the steel reinforcements undamaged. With our products you can remove selected concrete surfaces to a preset quality depth, leaving a jagged or craggy surface that provides an extensive bonding area for the new concrete. Other methods will remove both good and bad concrete with no selectivity at all. Vibration caused by mechanical removing methods leaves fracturing and creates micro and macro cracks in the remaining concrete. With Hydrodemolition, all vibrations to the surrounding structure are eliminated. With robotic Hydrodemolition vibration damage to hands and arms (HaVs) is avoided. Use of jackhammers and milling machines can create harmful dust with potential risk of pulmonary diseases. Robotic Hydrodemolition eliminates the risk of “white finger” and Hand-arm Vibration Syndrome (HaVs) complying with European work practice. Mechanical methods transmit sound through the structure. Jackhammers and handheld water jet machines are very labour intensive – one AQUA CUTTER Hydrodemolition robot does the work of numerous workers. Use of jackhammers and milling machines tend to leave layers of dust and damaged concrete with small cracks extending between 10 – 20 mm into the residual concrete. This means that the surface is not ready for new concrete and may spoil the bonding for the new concrete casting. Tests have proven the bonding between the old and new concrete is outstanding while using robotic Hydrodemolition, the average failure stress exceeds 1,5 MPa up to more than 2 MPa. Hydrodemolition is far more effective than the use of a hand lance, which is the simplest form of water jetting and is often incorrectly referred to Hydrodemolition or concrete cutting. 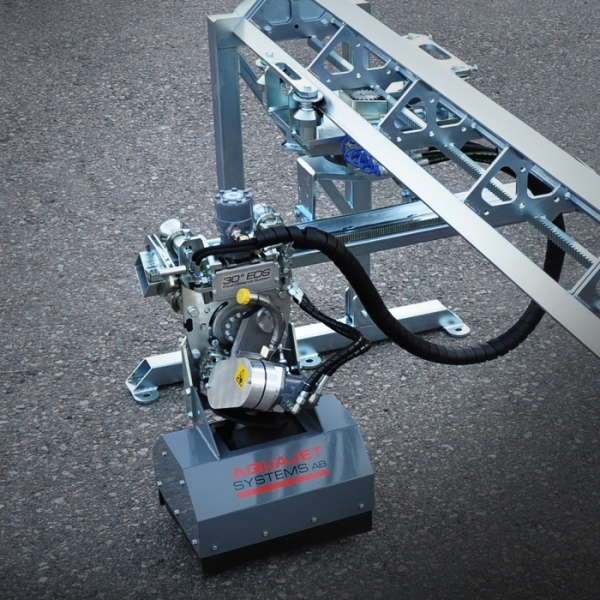 The robot’s EDS equal distance system, together with Aquajet’s specially designed Hydrodemolition nozzle offers the best possible performance rate. The EDS system allows for an unbeatable “angle of attack” while keeping the nozzle at the correct set distance from the surface. Robotic units reduce labour and minimize injuries compared to other methods, such as chipping hammers and hand held water jetting. Robots also perform repeating cycles 24/7, which means that you get the same speed, performance and quality from start to end. – Increased speed of concrete removal reduces the total construction time. Whilst two operators are recommended for safety reasons, a AQUA CUTTER robots is easily operated by a single person monitoring the programmed robot. The operator can then easily make necessary minor adjustments to obtain the required depth and quality of cut. Programming the robot is easy as the display panel uses clear and simple pictorial graphics combined with straightforward multi-lingual text. 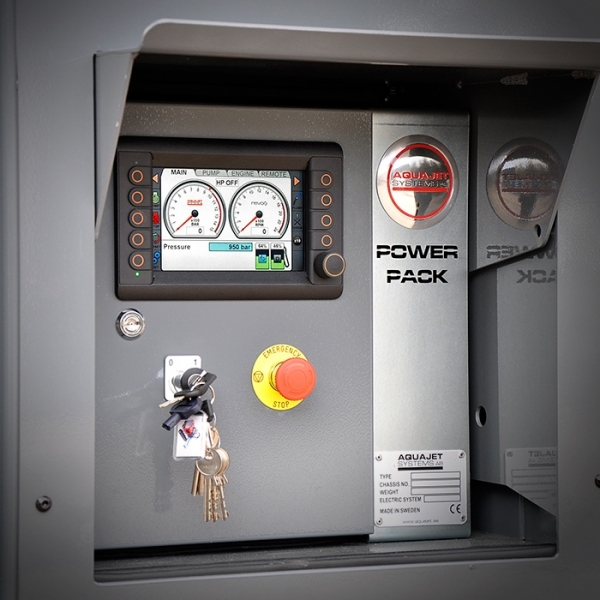 The onboard computer automatically controls and manipulates the pre-set operations. Once programmed, the water jet rapidly and continuously traverses over the area to be removed. The robot needs no commands during operation in auto mode though the operator can override the computer from the remote control box if necessary.